Oatmeal flour can be incredibly soothing to skin. 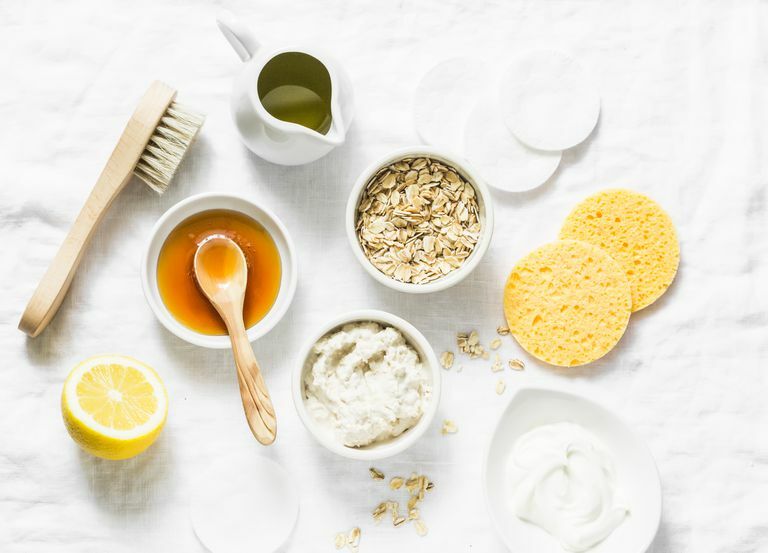 These oatmeal face mask recipes are some of my favorites. One is formulated for acne- and pimple-prone skin, while the other works on all skin types. You may have heard of oats used in scrubs. These can tear at the skin unless the oats are ground into a fine powder. You can buy colloidal oatmeal in powder form from Amazon, or if you don't have this on hand, making ground oatmeal is easy. To make 1/2 cup, put 1 cup of regular or old-fashioned oats in a blender or food processor and grind down the oats until they have the consistency of flour, the finer the better. Extra tip: If you have dry, itchy skin treat it by pouring colloidal oatmeal straight into your bathtub. This also relieves itchy skin from poison oak and ivy. This recipe is adapted from one in Julie Gabriel's "The Green Beauty Guide." According to Gabriel, oatmeal and onion are good for cleansing your acne-prone skin of impurities. The onion acts as an anti-inflammatory agent and the oatmeal deep cleanses the pores. Don't expect this mask to to be a miracle and get rid of your pimples, however. This is simply a great mask for girls and women who have acne or acne scars. See a dermatologist if you want to get rid of your acne, which is largely a hormonal problem and has nothing to do with your skin's balance or cleanliness. Pour the boiling water over the oatmeal. Let it steep for 5 minutes. Make a smooth puree of the onion in a food processor. Add onion and honey to the oatmeal paste while still warm. Stir and spread on face leaving it for 10 minutes. If the mask isn't thick enough, add more honey. This mask should store in the refrigerator for a week. Do not freeze. You can warm it up before application. Apply the mask to the face. Leave it on for 10 minutes, then rinse off with several splashes of warm water. Follow with a warm washcloth. Apply moisturizer.